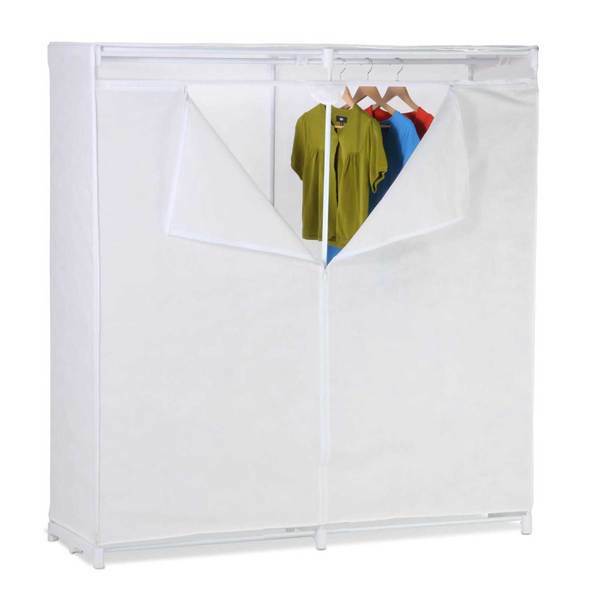 A portable closet is among some of the greatest closet storage ideas and well worth the money spent on materials. The downside is giving up space in the room to assemble it. 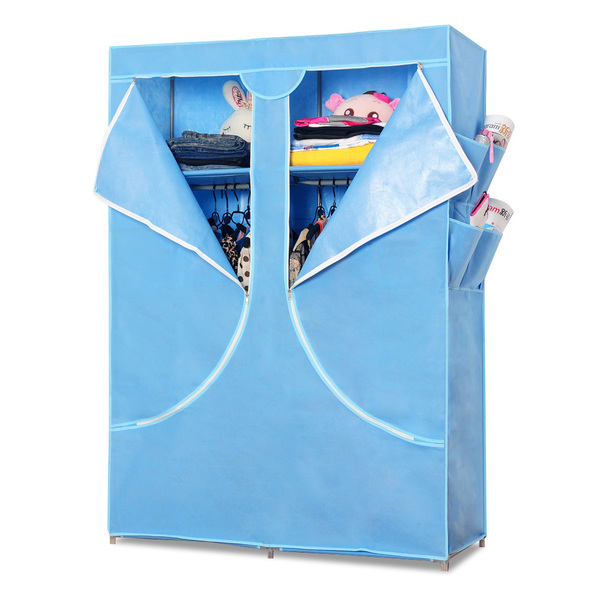 A functional portable closet could consist of two six x three or four foot book cases at opposite ends of a wall, facing each other. 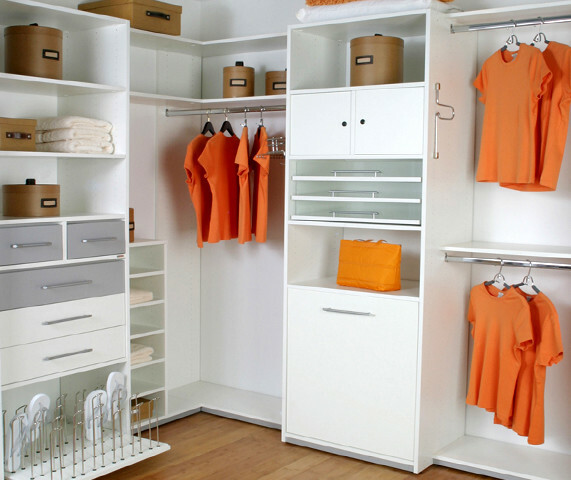 The shelves would serve as storage either for folded clothing, shoes, toiletries, pretty much any of the usual things stored in dressers, on top of dressers, or under the bed. Across the top of the book shelves, would be a sturdy board approximately 18 inches wide and long enough to extend from one edge of the book shelve on the left to the book shelf on the right. This provides additional overhead storage. A closet rod is placed on the top shelf of the book cases. The rod can be secured with a closet rod brace in the center. Clothing would be hung with heaviest pieces at the ends of the rod. The weights of the contents on the shelves keep the closet fixed and balanced. Okay, so now you've got this thing in your room with all of your things neatly housed and organized. But you can't leave it like that. 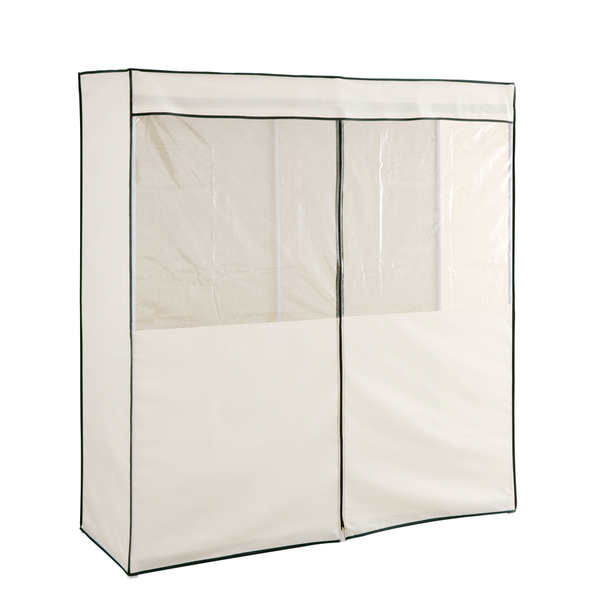 To finish it off, you could either position room divider screens the length of the closet, which would allow easy accessibility to any section of the closet, or really get fancy and install a set of folding doors. 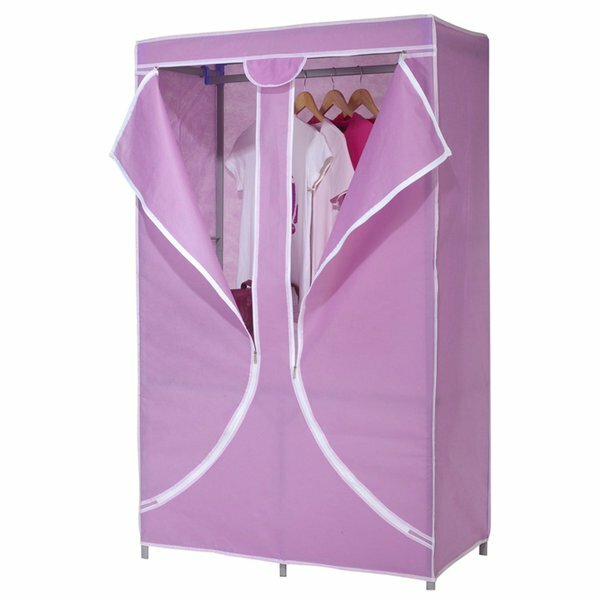 A structure such as this is truly portable, solves the storage problem and gives one the satisfaction of designing something, if done carefully and with thought, that is be pleasing to the eye, and that effectively meets the need.